CLIMB RIGHT IN! by Jim Corbran, Automotive Columnist Go ahead and admit it, you’ve always been intrigued by those mean-looking Chevy Tahoe PPVs cruising the highways (PPV standing for Police Pursuit Vehicle). Perhaps not intrigued enough to garner a ride in the back seat of one (it can be arranged, though! ), but enough to think that, yes, these are cool-looking vehicles. Needless to say, they’re not ordinary Tahoes with police department paint jobs. This isn’t the 1950s, and Broderick Crawford isn’t behind the wheel. 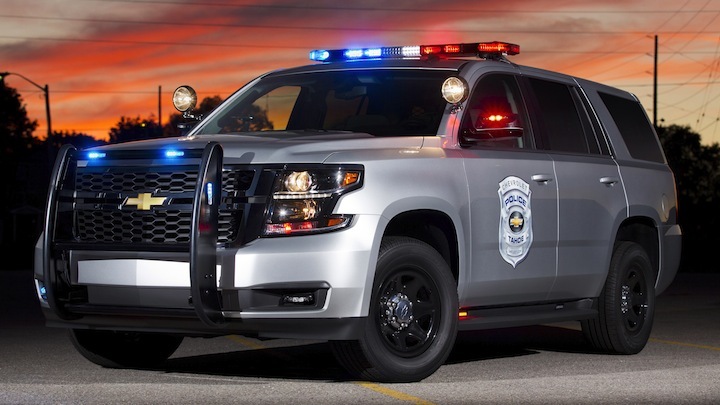 The new-for-2015 Tahoe PPV has a host of goodies to help police departments serve and protect. Like fr’instance: heavy-duty brakes and suspension, dual batteries, heavy-duty vinyl flooring (use your imagination to determine why), optional vinyl rear seating (see above), 170-amp alternator, engine skid plate, and police-rated tires. The new Tahoe is available as a PPV in 2(rear)WD or 4WD drive; there is also a 4X4 Special Services Vehicle (SSV) designed more, as Chevy puts it, “...to confidently maneuver the road less traveled.” Just this past week, the County of Ventura (Calif.) was one of the first fleets to take delivery of the new 2015 Tahoe PPV, which just became available for purchase in the final quarter of the year. I don’t imagine it will be long before we start seeing them on the roads of WNY. Hopefully, not in our rearview mirrors. ### Jim Corbran, Automotive columnist for Artvoice Read You Auto Know every other week in Artvoice, and check the YAK blog daily here: http://blogs.artvoice.com/avdaily/category/you-auto-know/ The post CLIMB RIGHT IN! appeared first on Buffalo Cars.